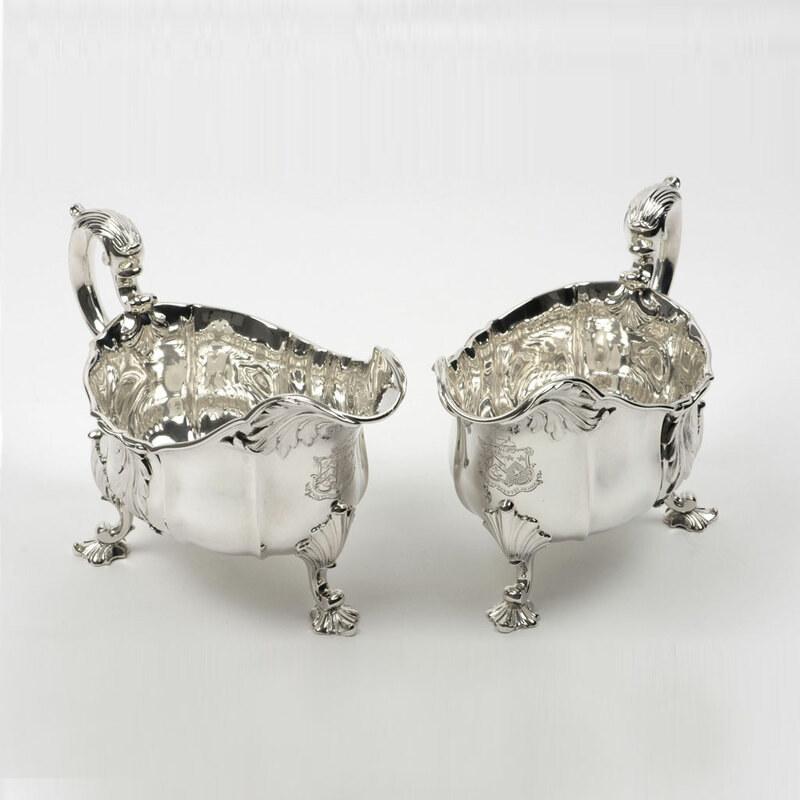 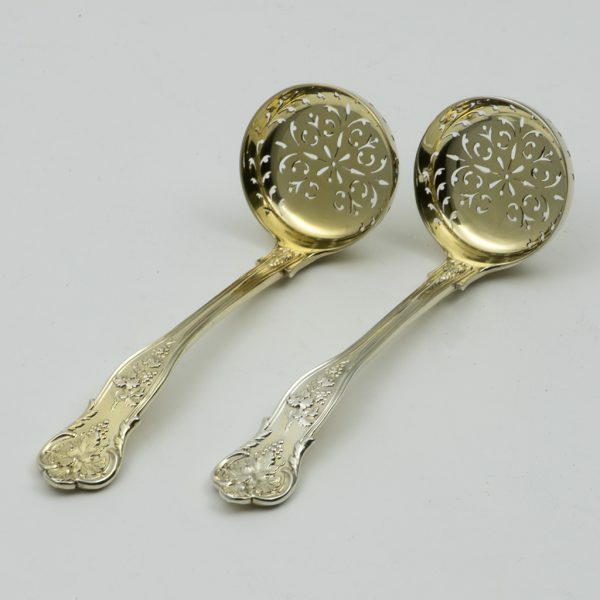 A pair of Victrian silver-gilt Sifting Ladles. 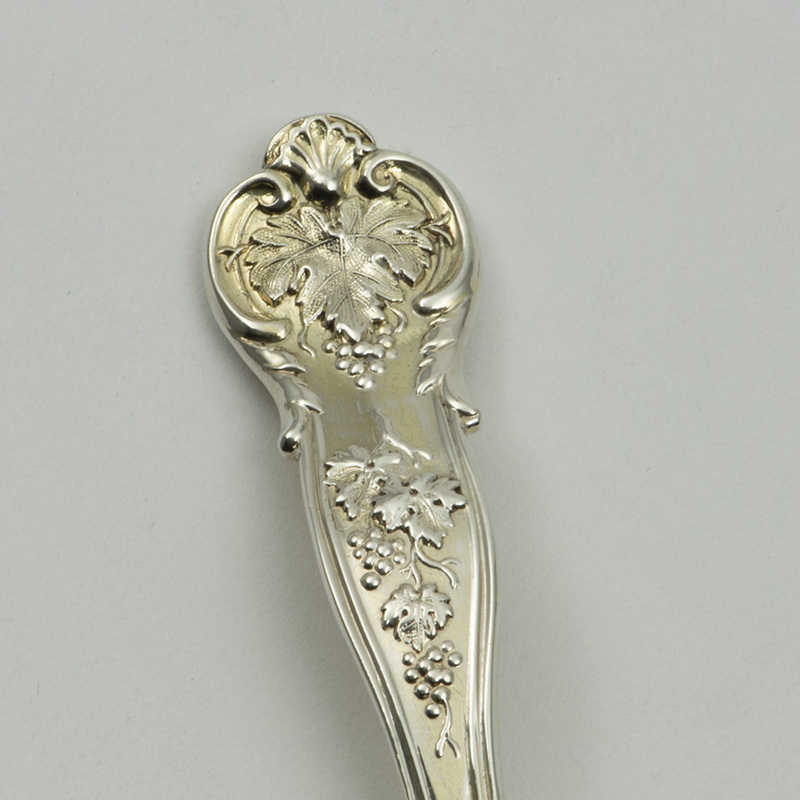 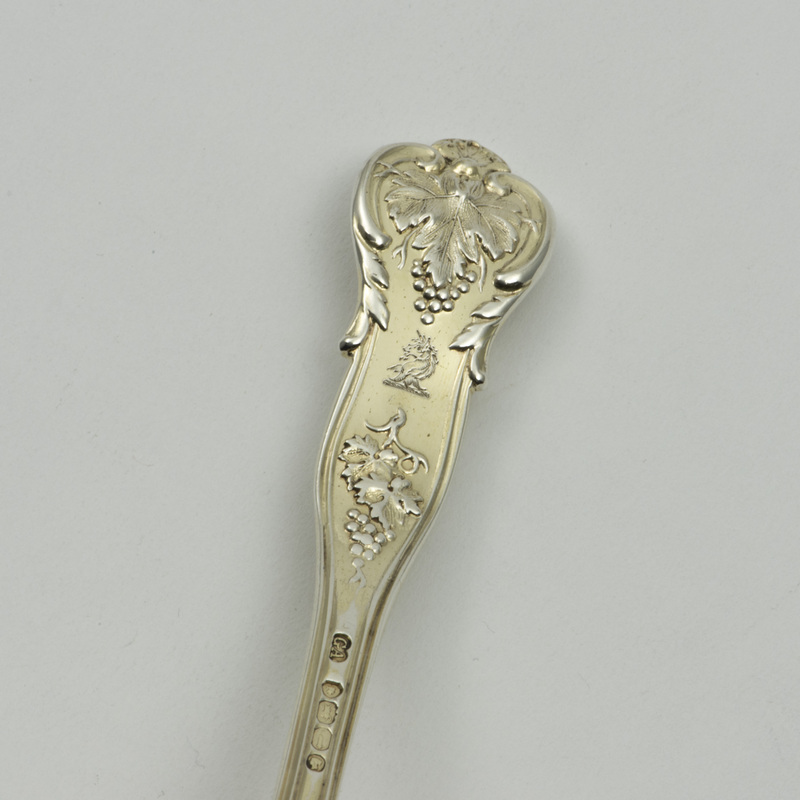 A pair of silver-gilt bright vine pattern Sifting Spoons, London 1864, by George Adams. 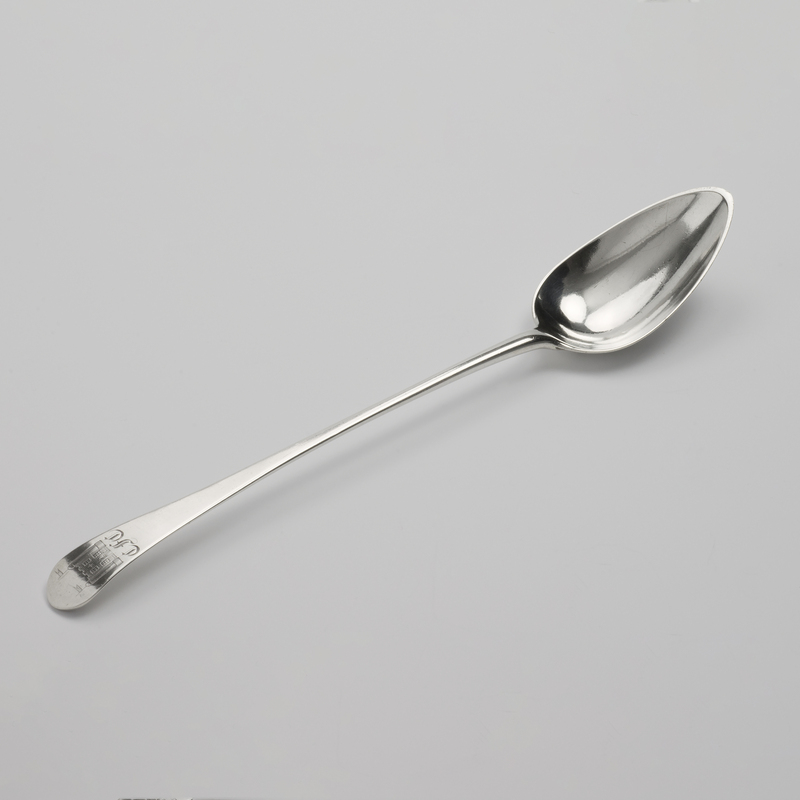 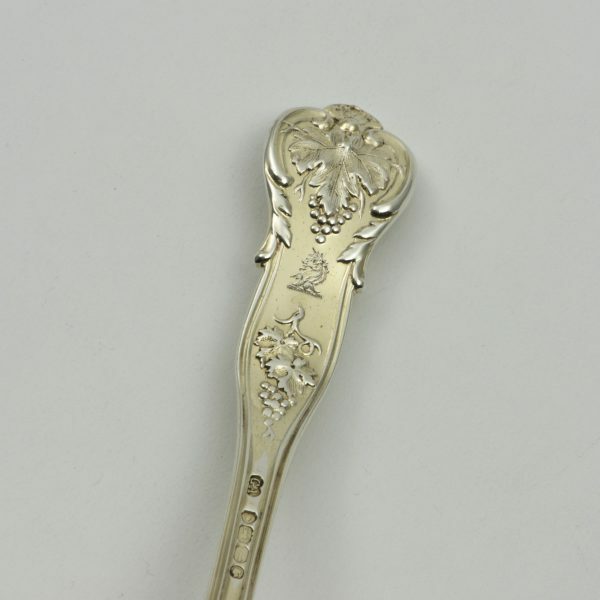 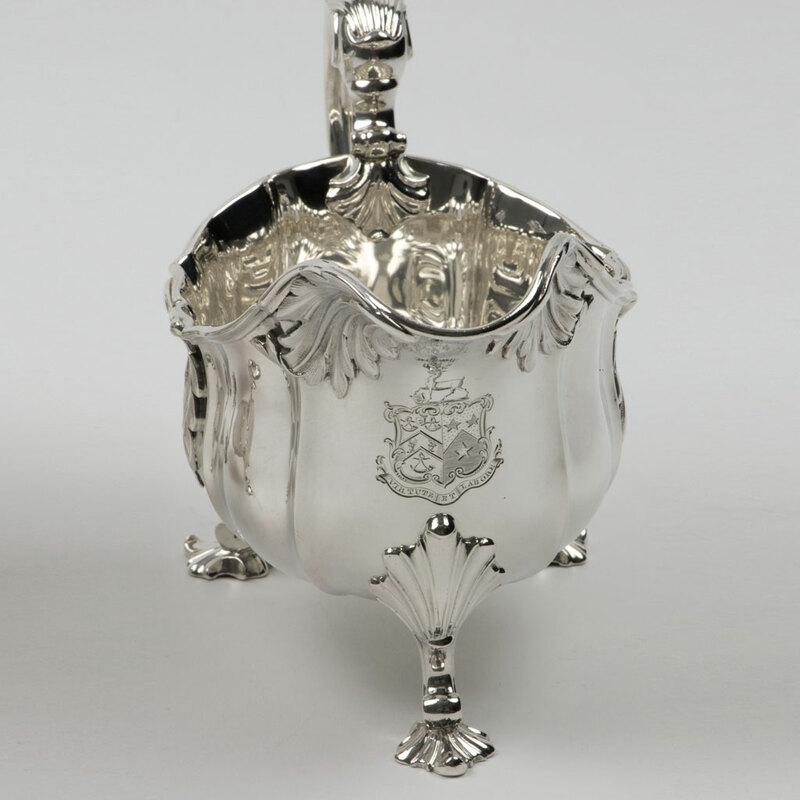 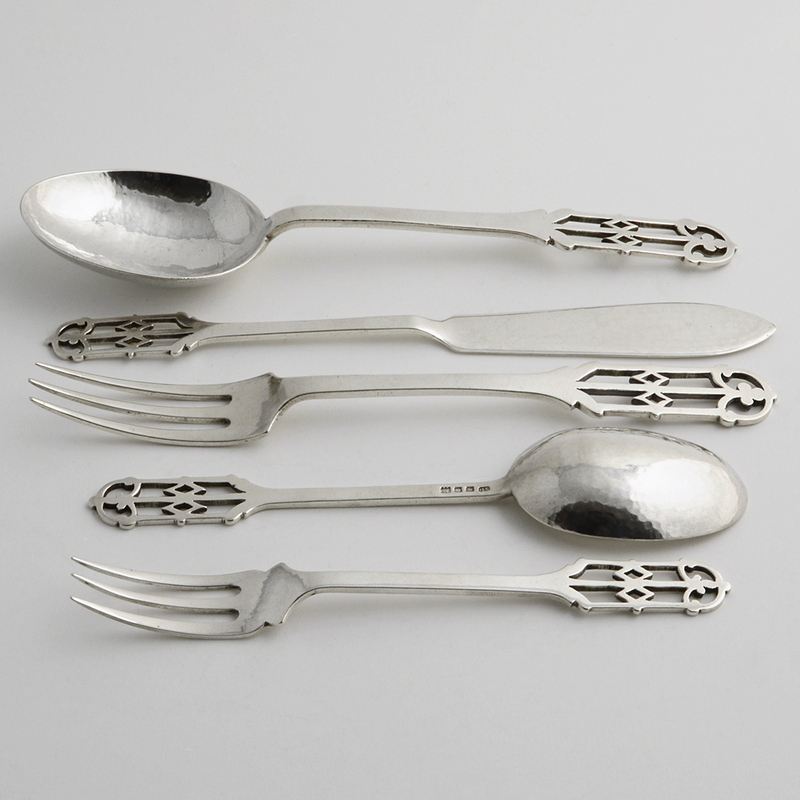 Each sifting ladle is engraved with a contemporary crest. 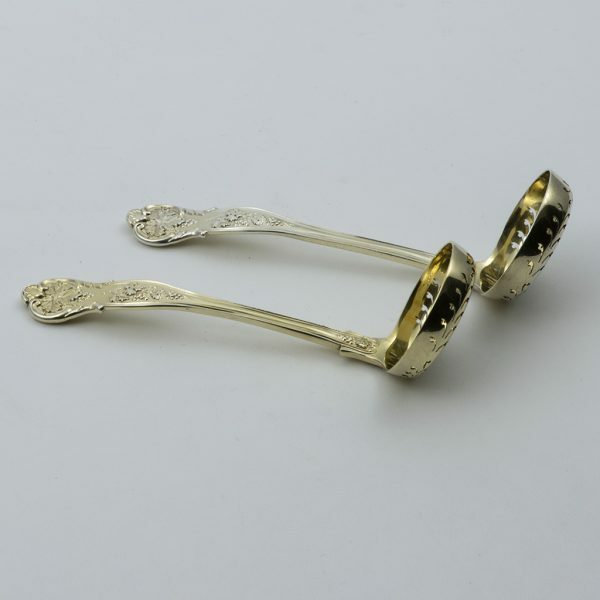 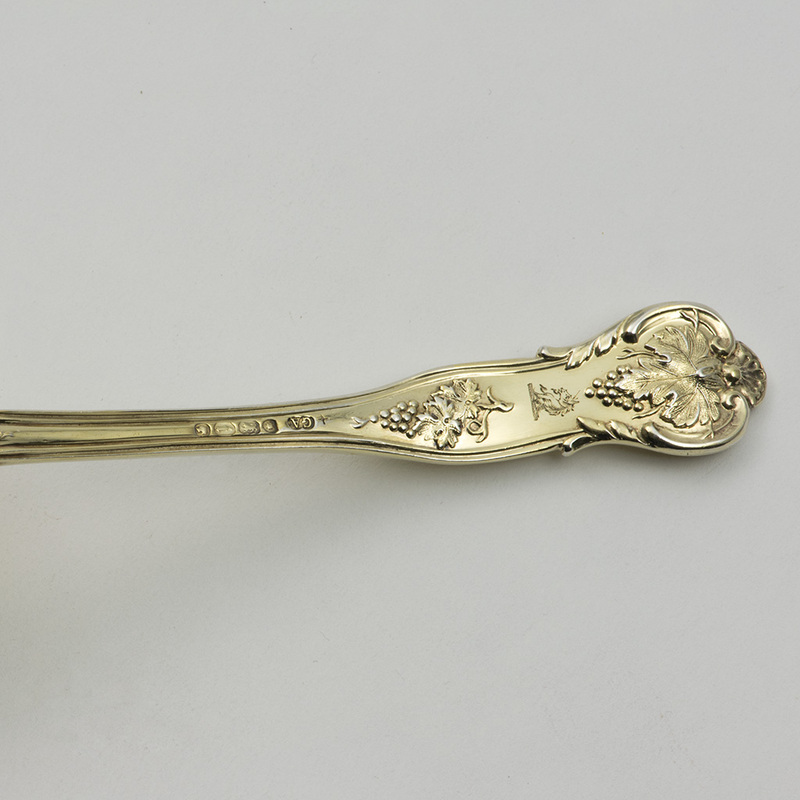 Send Enquiry for A pair of Victrian silver-gilt Sifting Ladles. 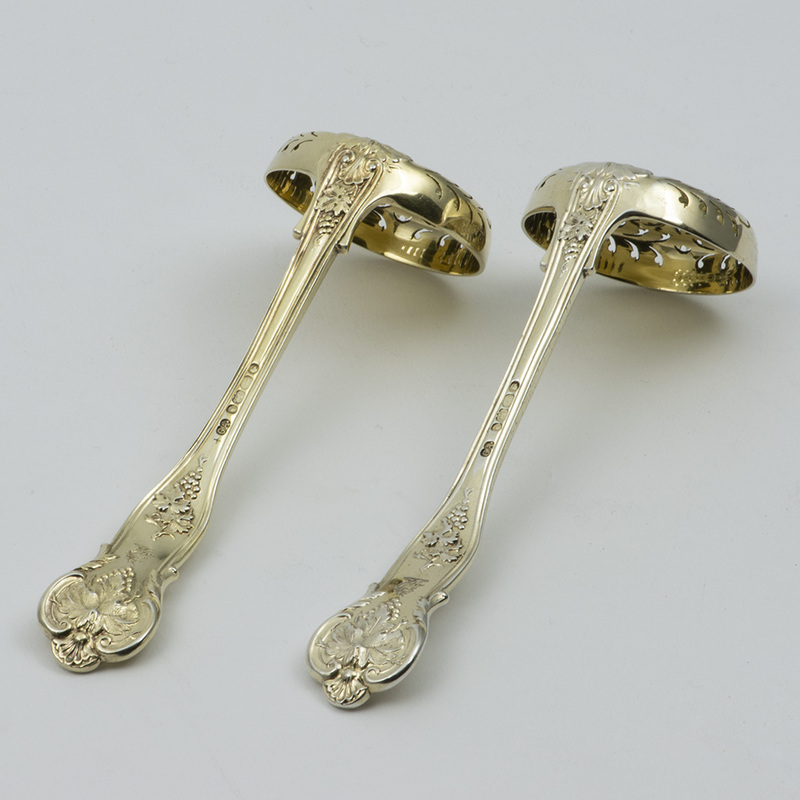 Good with some wear to the gilding on the stems, more on one ladle than the other. 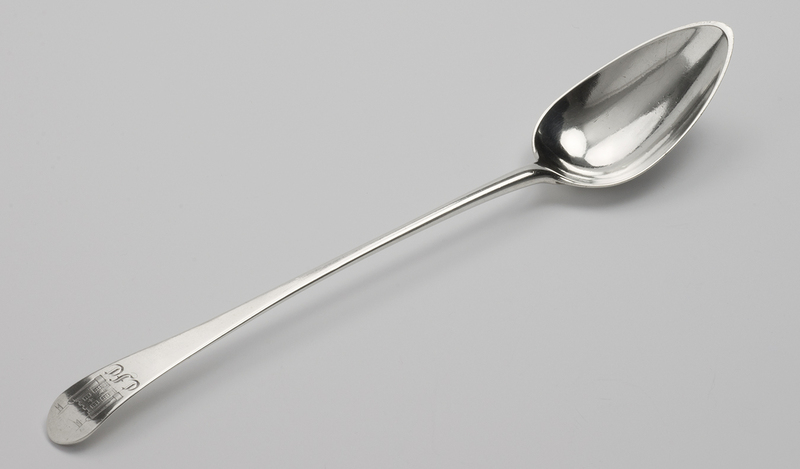 Length – 16 cm. 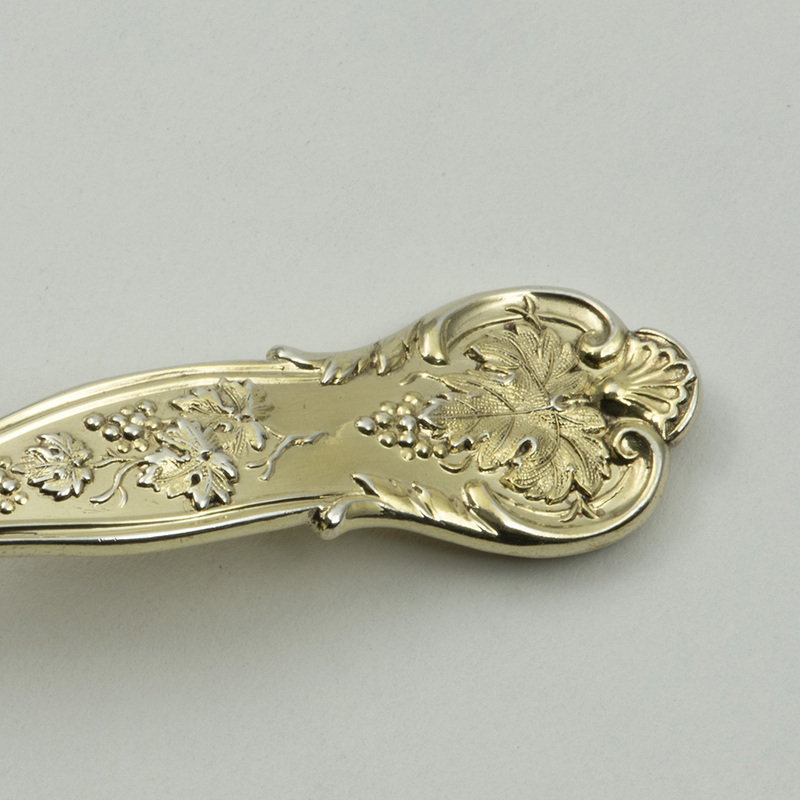 ; Width – 4.90 cm. 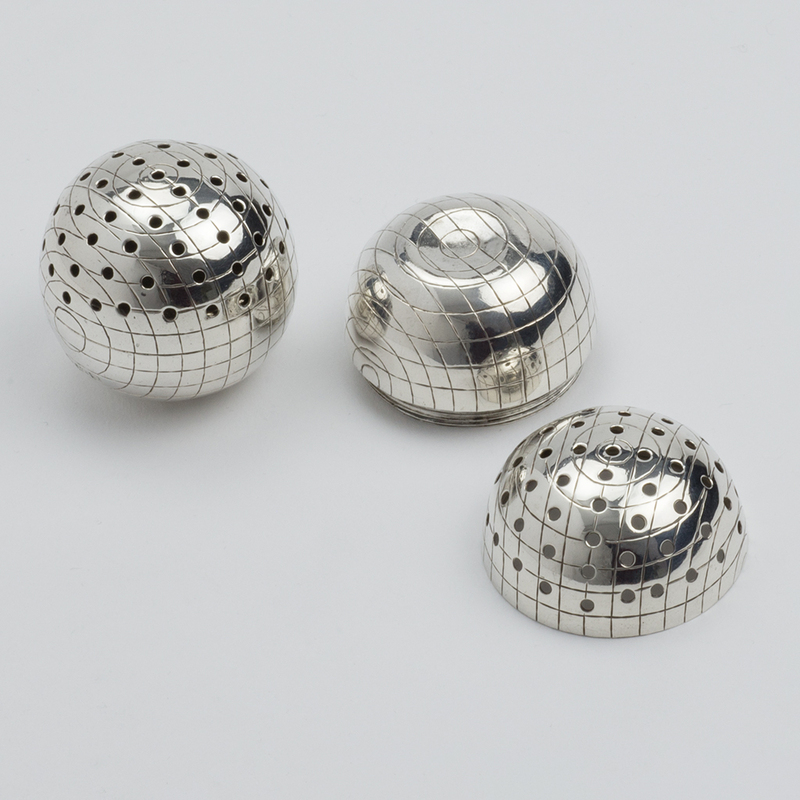 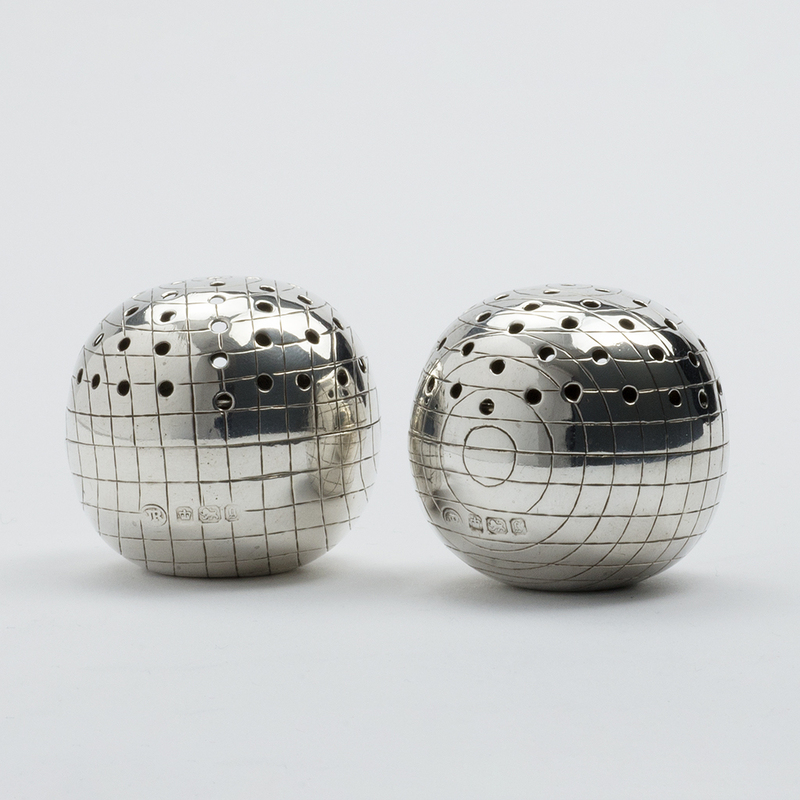 ; Weight of the pair – 130.90 gms. 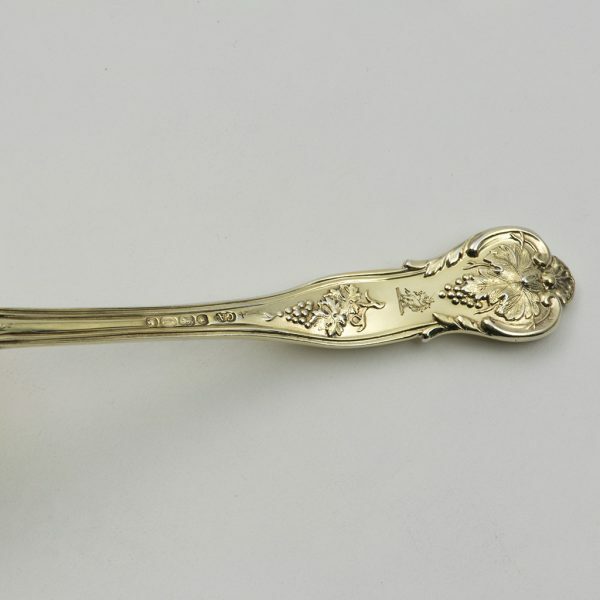 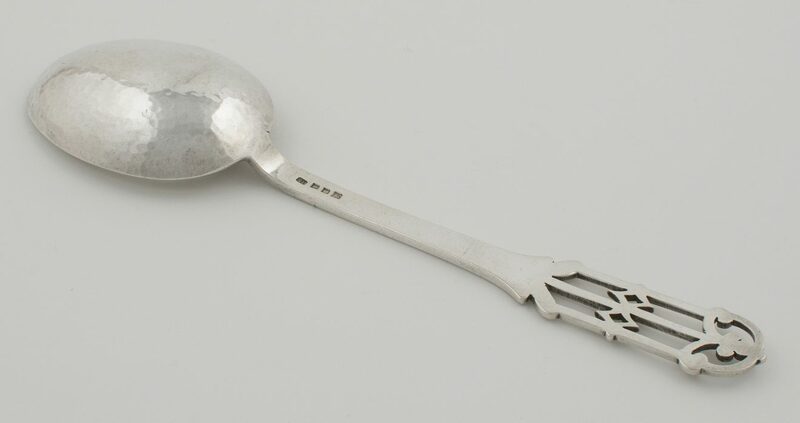 next post: A George I Britannia standard silver Kitchen Pepper.